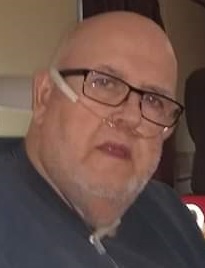 Lloyd L. Metz, 69, passed away March 24, 2019. He was born April 21, 1949 in Bristow son of the late Goble and Naomi (Austin) Metz. Also preceding him in death was a sister Margie Hazelwood. Lloyd was united in marriage to Louise Hall May 18, 1999 who survives. He was a member of Sons of American Legion in Elizabeth, Indiana and had worked for LG & E, retiring in 2000. Lloyd enjoyed NASCAR, watching WWE wrestling, riding in his golf cart, listening to country music and singing karaoke, throwing darts and spending time with his great grandchildren. He is survived by his wife, Louise Metz; daughter, Dawn Steen (David), Elizabeth; step children, Tony Davis (Angie) and Cindy Davis, both of Leopold; siblings, Gerald Metz, New Albany, George Metz, Floyd Knobs, Thomas Metz, New Albany, Roger Metz, Portland, TN and Phyllis Ann Metz, New Albany; six grandchildren, Ryan Steen, Dakota, Maverick, Montana, and Clancy Harlen and Audrea Davis and 9 great grandchildren. Funeral services will be at 2:00 PM CDT Friday March 29, 2019 at Huber Funeral Home, Tell City Chapel with burial in Gilliland Cemetery. Pastor Jeff Thayer will officiate. Visitation will be from 9:00 AM until 2:00 PM at the funeral home. Memorial contributions may be made to Golden Living Center Activity Fund.